Circus Bingo Review - 4 Incredible Giveaways on 1st Deposit! Roll up, roll up and join Mobile Bingo Bonuses as we bring you an incredible site called Circus Bingo. With an original eye catching theme full of circus based imagery, you’ll instantly be amazed by the huge range of games available. Whether your preference is 90 Ball, 75 Ball, Progressive and Coverall Bingo, Progressive Jackpots, Table Casino or favourite Slots; Circus Bingo have you covered. Many of these incredible games are available on mobile and tablet devices such as iPhone, Android and iPad, giving you the chance to play the incredible Starburst on your lunch break or in the bath. For those times when you’re a little short of cash, check out Circus Bingo’s complimentary bingo and instant games. This is the ideal way to hone those daubing skills, without spending any of your own money. Pages available on Facebook and Twitter. All this on a £10 deposit, now that’s what we call a bargain! £1k Big Top – How does 6 tickets every month sound? Well that’s exactly what you’ll get with Circus Bingo. You simply join them in their Big Top game and you could win a £1,000 cash prize into your account. For those of you who love making new friends online, then head over to the Circus Bingo chat rooms. 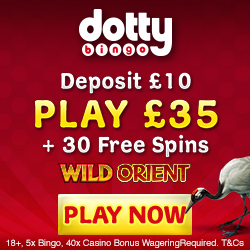 They offer a number of games where you can earn extra bonuses, whilst chatting with like-minded gamers. 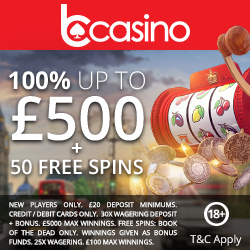 Of course if you enjoy playing with friends, then let your mates know about the site and for each person you refer who registers and deposits, you’ll receive £10 bonus credit. If all of this wasn’t great enough, then you’ll love the fact that as you play you’ll be earning loyalty points. 1 point is given for every 25p wagered on bingo and £2 on instant games. Points can be converted into additional gaming credit, so even if you’re losing you’ll still get a little something extra. There’s also a VIP Club as a thank you for your loyalty, which has 4 levels (Clown, Acrobat, Magician and Fire Eater) each offering bigger and better rewards. To move through the levels you simply wager and keep an eye on your account. The fun doesn’t have to stop when you leave the site, because Circus Bingo has Facebook and Twitter pages. You can find information on the latest news and promotions, plus exclusive offers. Should you require any additional support, you can contact a Circus Bingo representative via email, phone or live chat. They are available 24/7 and aim to respond within a reasonable time scale. We recommend checking out their FAQ section, just in case your query can be resolved quicker. Circus Bingo accept the usual banking methods including Credit and Debit Cards, Entropay, Paypal, Paysafe Card and Neteller. So if you’re ready for the big top and these incredible bonuses, simply head over to Circus Bingo.